"W. L. Taylor, Artist: A name to conjure by!"  so stated printers Woodward & Tiernan in their 1926 brochure, Craftsmanship and Commerce, for which they specifically chose Taylor's "The Shadow of a Great Rock", with its rich tones and popular appeal, to display their own abilities in color printing. A name to conjure by, indeed; for the previous 30 years, William Ladd Taylor's paintings and illustrations, featured by the Curtis Publishing Company in their flagship publication, The Ladies' Home Journal, gave shape and form to a wide array of American and literary scenes, as well as extensive Old and New Testament settings. Influenced by the Pre-Raphaelites, Taylor combined the best of late Victorian sentimentality with the painstaking attention to detail and design of the Arts and Crafts Movement, and earned for himself the title "the great American master of Symbolism." Taylor preceded N. C. Wyeth and Norman Rockwell, who, along with Maxfield Parrish, were also part of Curtis Publishing's stable of artists; postcards and prints of his work, as well as full-color reproductions carefully torn from the pages of the Journal, adorned homes throughout the country and throughout the world. 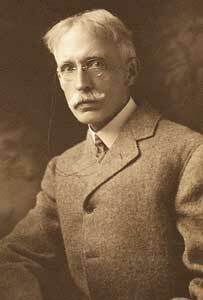 William Ladd Taylor was born in 1854 in Grafton, Massachusetts, the son of William Harrison Taylor and Anna Maria Darling. After attending Worcester public schools, he took a course in mechanical drawing and worked for a time as a draftsman. He then began studying art in Boston and the newly-established Art Student's League in New York City. By 1881 he had established a small studio on School Street in Boston, and had growing influence as one of the artists who organized the Paint and Clay Club after the death of William Hunt in 1879; this group included Foxcroft Cole, T. H. Bartlett, Appleton Brown, Willard L. Metcalf, Marcus Waterman, Emil Carlsen and John Johnstone. Later, Taylor also became a member of the Boston Art Club, the Society of Illustrators (in 1905) and the Copley Society (in 1907). In 1884 and '85, Taylor and Willard L. Metcalf studied together in Paris at the Julien School, under Jules-Joseph LeFebvre and G. C. R. Boulanger. During this time, Taylor also traveled extensively throughout Europe and the British Isles. On his return he moved his studio to Boylston Street and began devoting his efforts to illustration. In 1886, Taylor married Mary Alice Fitts, of Norfolk, Virginia and they set up house in Wellesley, living first at 6 Abbott Street and from 1896 at 10 Denton Road. They also kept summer homes at Mooselookmenguntic, Maine and Cornish, New Hampshire. Most of his painting was done at their home in Wellesley, where he made great use of family, friends and neighbors as models. From 1895 until his death in 1926, Taylor produced commissions for Curtis's The Ladies' Home Journal, becoming their lead illustrator and synonymous with the publication. The Journal featured over eighty of his works, many as full-color reproductions and Curtis Publishing Company both exhibited the original oils and watercolors at their offices in Philadelphia and offered print and postcard versions of the same to their subscribers. Taylor began his career with the Journal producing illustrations to accompany poems and stories published in the magazine. Soon he was able to create his own series, artwork which stood alone and which his growing following eagerly awaited. In 1899, the Journal published his illustrations of Longfellow's poems, followed in 1901 by a series of early New England scenes; both these series were fueled by the ongoing Colonial Revival movement and some of Taylor's scenes are reminiscent of Wallace Nutting's "historical tableau." 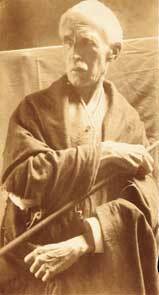 After a year's stay in Colorado in 1901, taken for his frail health, he produced a series of frontier images, which also appeared in the Journal. From 1904 on, Taylor became increasingly interested in scenes from the Old and New Testaments, interspersing them with more Longfellow subjects, scenes of the Old South, traditional ballads and the occasional scene from Shakespeare. Beginning in 1920, all the Taylor works in the Journal were biblical scenes and upon his death in 1926, he was working on yet another, "Remember Now Thy Creator in the Days of Thy Youth", from Ecclesiates. Throughout all of his works, and particularly those of his New England, Western Frontier and Southern series, Taylor sought to preserve scenes of the past. Living during a period of great industrial and social change and through the Civil War and first World War, he set great store by historical artifactsfurnishings and costumes, homes and gardensand used these extensively and with great effect to achieve atmosphere and authenticity.